Last year, I traveled to San Francisco to film a historical cooking TV segment. I was in need of a kitchen and ended up stayed at the Fairmont Ghirardelli, an apartment-like hotel in the heart of Ghirardelli Square. After I finished my cooking preparations I had some spare time, so I took a walk in the square. Even though I was in the city for work, the beautiful surroundings transported me. Ghirardelli Square was enchanting… the brick walls, the outdoor fire pits, the smell of chocolate wafting on the ocean breeze. It felt like an immediate escape from the hustle and bustle of my daily life. I stopped at the Ghirardelli Shop to buy some chocolate and learn about the history of this very special place. Domenico “Domingo” Ghirardelli set up shop in several San Francisco locations before finally settling in the factory that is still used today. What drew him, and many other merchants, to the area was the California Gold Rush and the promise of a fresh start in America. As a young boy in Rapallo, Italy, Ghirardelli was introduced to the art of chocolate and confectionery while apprenticing a local candy maker. This would prove to be the start of his lifelong work in the chocolate trade. At 20, he left Italy for South America, where he had more opportunities to work with chocolate. 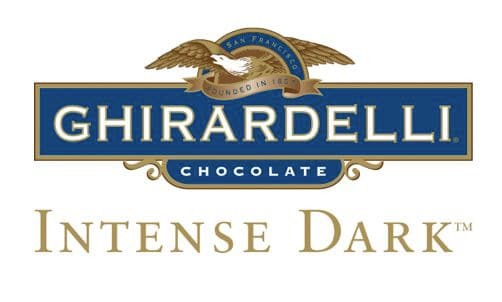 Ghirardelli’s fate was sealed when he set up shop in Peru next door to James Lick, the American owner of a cabinet shop, who became his friend. When Lick decided to leave Peru for San Francisco in January of 1848, he brought 600 pounds of Ghirardelli’s chocolate along for the ride. Lick couldn’t have picked a better time to go to San Francisco; an influx of gold mining fortune-seekers began to arrive at almost exactly the same time. When Ghirardelli received word of this, he left Peru a year later to join Lick in California. Upon his arrival, he set up a general store inside a tent where he supplied locals with dried goods, including chocolate. Ghirardelli’s second shop, located at the corner of Broadway and Battery in San Francisco, was destroyed on May 3, 1851 in a series of fires that devastated many San Francisco buildings. In September of 1851 he opened Cairo Coffee House, though it was not ultimately successful. 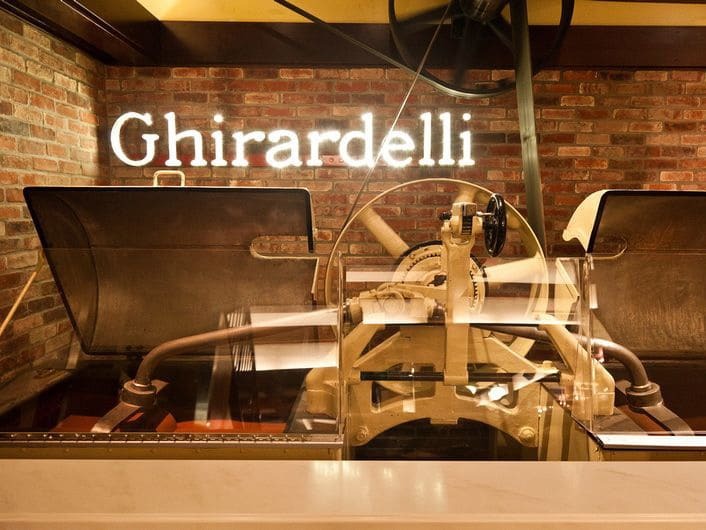 Finally, in 1852, Ghirardelli found lasting success when he opened his new company – Ghirardely & Girard at Kearny and Washington streets in San Francisco. It was home to what would become the thriving chocolate business we know and love today. Due to his success, Ghirardelli was able to send for his family in Peru. After several more moves and a very important spelling change to his name, the Ghirardelli Chocolate Company took over the former Pioneer Woolen Mills on North Point Street in 1893. 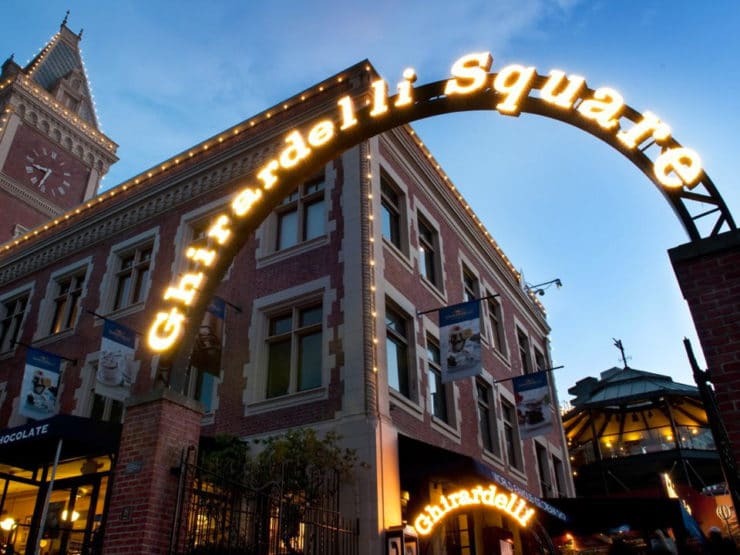 This location is still home to Ghirardelli; it is now known as the Ghirardelli Chocolate Manufactory & Soda Fountain in the heart of Ghirardelli Square. In 1923, when two additional floors were added to the four-story “Cocoa Building,” a base was created for a 15-foot illuminated Ghirardelli sign. It is visible to every ship that passes beneath the Golden Gate Bridge. There is also an illuminated sign on an archway over the square. In 1982, the landmark was granted National Historic Register status. I could have lingered in Ghirardelli Square for days, tasting chocolate and inhaling that crisp ocean air…alas, my trip only lasted one night, and it was back to work the next day. 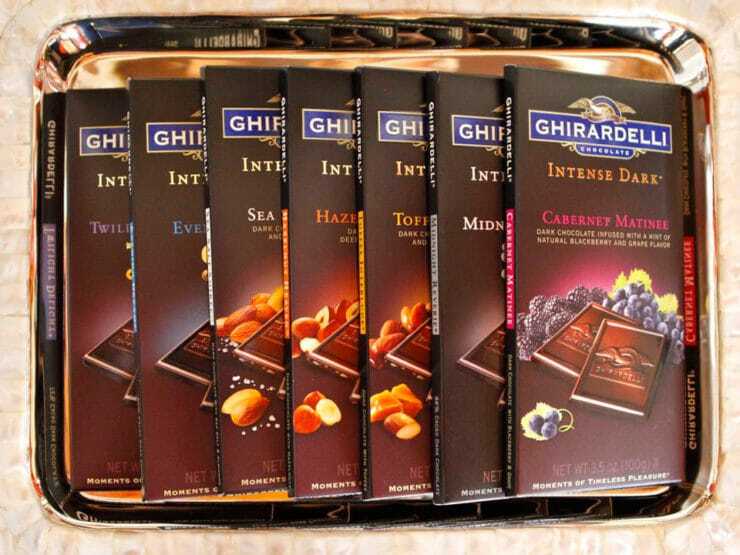 The whole trip came back to me when I received a box from Ghirardelli filled with a lovely surprise—samples of all the flavors in their new Intense Dark chocolate line. Every bar of Intense Dark has its own unique essence, from hazelnut to sea salt to toffee. As I tasted my way through the samples (I love my job! ), I came upon their Twilight Delight chocolate. It’s a medium dark chocolate; it contains 72% cacao and has a perfectly balanced sweetness, opening up my mind to a world of possibilities. I felt inspired to create a simple dessert that would allow the chocolate’s pure flavor to shine. While mulling it over, I started reminiscing about San Francisco… walking through Ghirardelli Square, breathing in the brisk ocean air, and savoring bite after bite of delicious chocolate. Then it came to me. Fresh mint leaves, dipped in Twilight Delight Intense Dark chocolate, then frozen… sweet, bite-sized delights. I’d seen the idea a while back on Martha Stewart’s website, but hadn’t yet tried it myself. These simple treats are the natural version of a peppermint patty. The crisp flavors of fresh mint and chilled, sweet Intense Dark chocolate are a perfect pairing. I served them at a recent dinner party to family and friends. We allowed them to melt in our mouths, cleansing our palates with cooling sweetness. It was the perfect way to end our meal … a lovely escape. Breathe deep, relax, and enjoy! 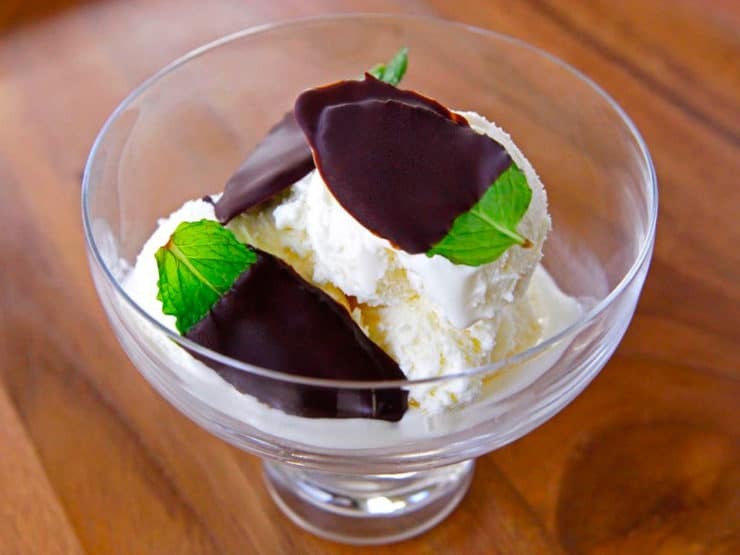 Natural bite-sized mint dessert. 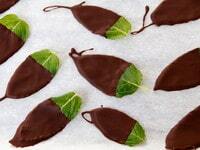 Large fresh mint leaves frozen in Ghirardelli Twilight Delight Intense Dark Chocolate. 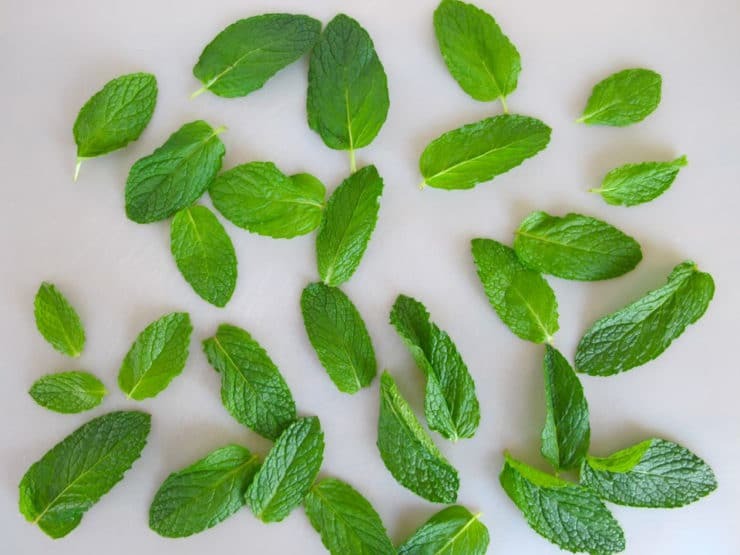 These fresh mint leaves will only stay fresh-looking for about 5 hours, and should be served straight out of the freezer, so plan your preparations accordingly. Assemble your mint sprigs. Rinse them clean with cold water, then pat them thoroughly dry with paper towels. Cut the largest, sturdiest leaves from the stems. You’ll need about 35 large leaves. Line a baking sheet with parchment paper. Break the chocolate bar into pieces, place in a heat-safe dish, and melt chocolate in the microwave on 50% power for 1-2 minutes, stirring every 30 seconds, till melted and smooth. 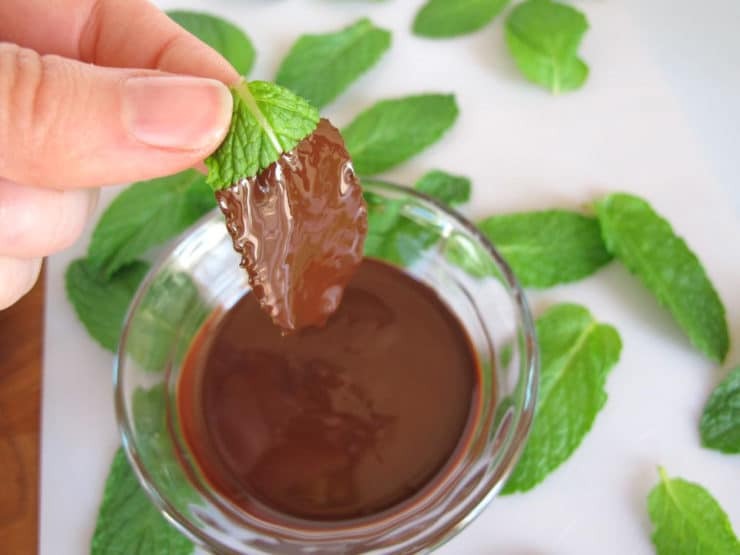 Dip the mint leaves into the melted chocolate one by one, covering 3/4 of each leaf with chocolate. As each leaf is dipped, place it on the parchment-lined baking sheet. When all of the leaves have been dipped, place the baking sheet into the freezer for 30 minutes till chocolate is firm and chilled, up to 5 hours. 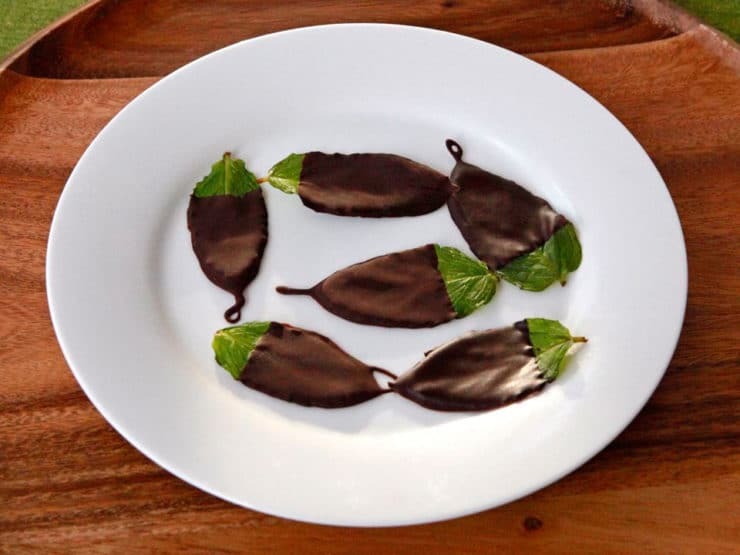 Serve dark chocolate mint leaves straight from the freezer on a chilled plate. You can also use the leaves as a creative topping for ice cream. Serve immediately; don't allow them to sit at room temperature for long. Enjoy! This post was sponsored by Ghirardelli Intense Dark Chocolate. 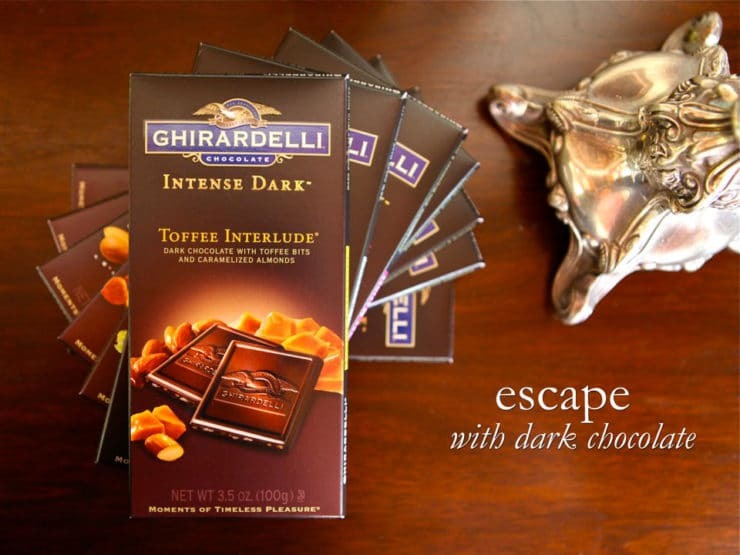 Create your own escape by checking out Ghirardelli’s Pairing Page. Thank you for supporting my sponsors, they allow me to share more free recipes, crafts and food history with you! what a great idea! I love chocolate and mint. What a great Shavuot idea!!! Thank you! This is simple and perfect! This may be how I end all of my dinners parties! I especially love the ones with the curlicues! Have two kinds of mint growing in pots now. I will be doing this soon. Great idea! I’ve never seen this idea before and it’s genius! I usually save my mint from the garden for drinks or chopped up on baked goods, but never like this. I will be trying it!